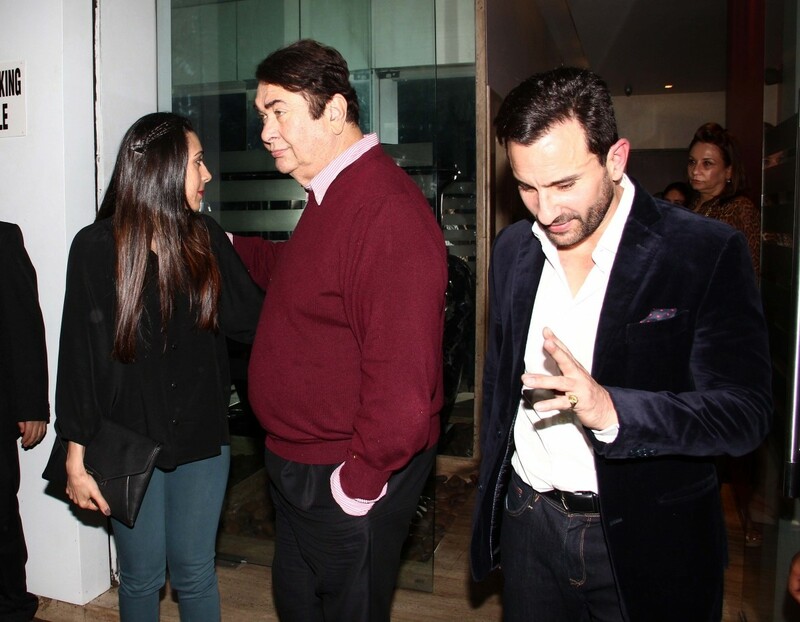 The birthday bash of Randhir Kapoor was hosted by his daughters, Kareena and Karisma, which witnessed Bebo's husband Saif Ali Khan, Neetu Kapoor, Rishi Kapoor, Reema Jain and other family members as well. 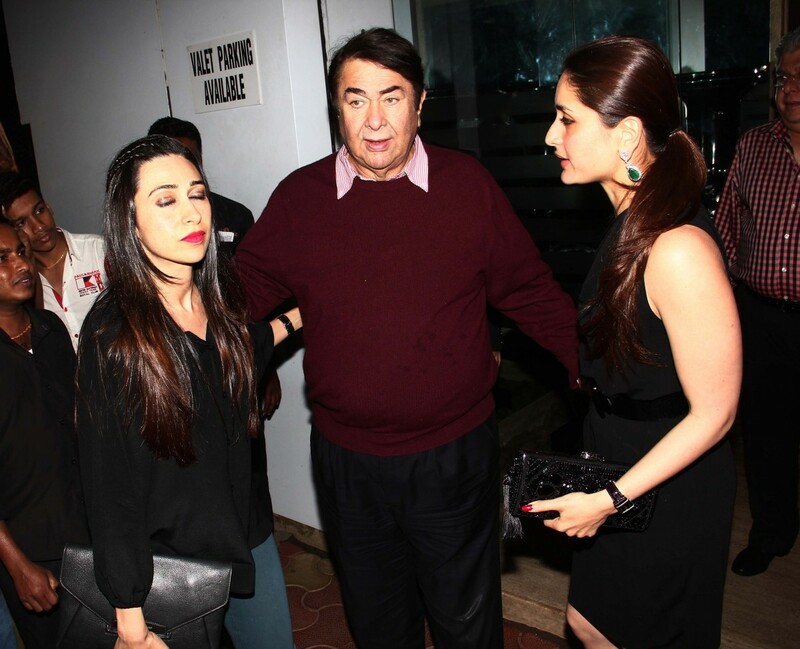 Kareena Kapoor Khan and Karisma Kapoor hosted a family dinner party to celebrate their father Randhir Kapoor's 68th birthday on 15 February. 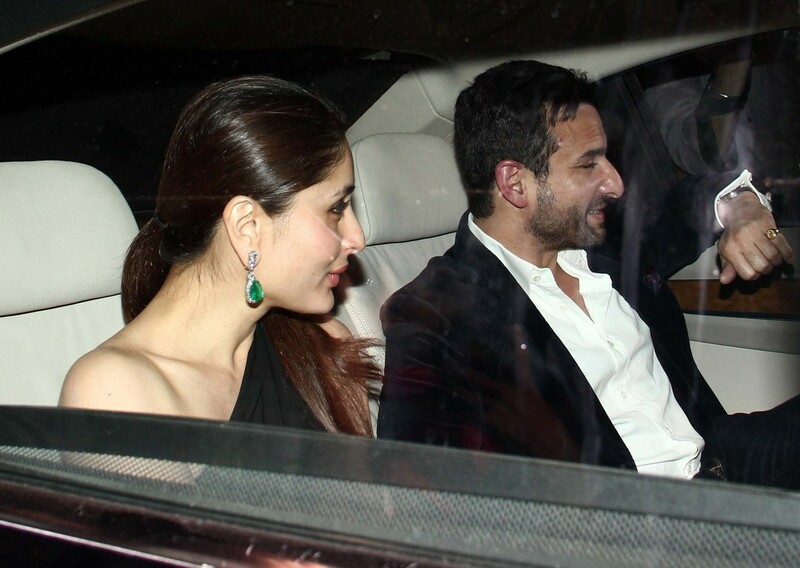 The birthday bash witnessed Bebo's husband Saif Ali Khan, Neetu Kapoor, Rishi Kapoor, Reema Jain and other family members in attendance. Surprisingly, Ranbir Kapoor and Armaan Jain including many other Kapoor members were missing from the scene. It seems the "Barfi!" actor is too busy with his projects this year. 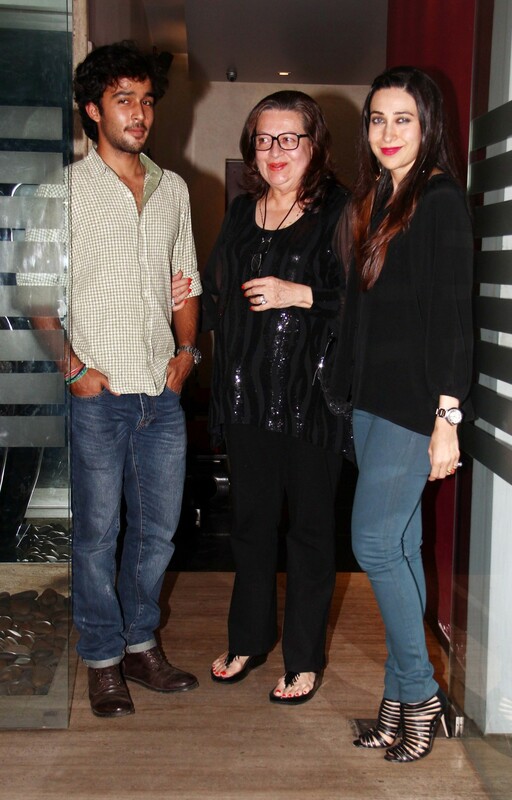 Recently, the actor's film "Roy" hit theatres, which also featured Arjun Rampal and Jacqueline Fernandez in lead. After Ranbir's flop flick "Besharam" in 2013, the actor will return to the big screen with several big banner films. 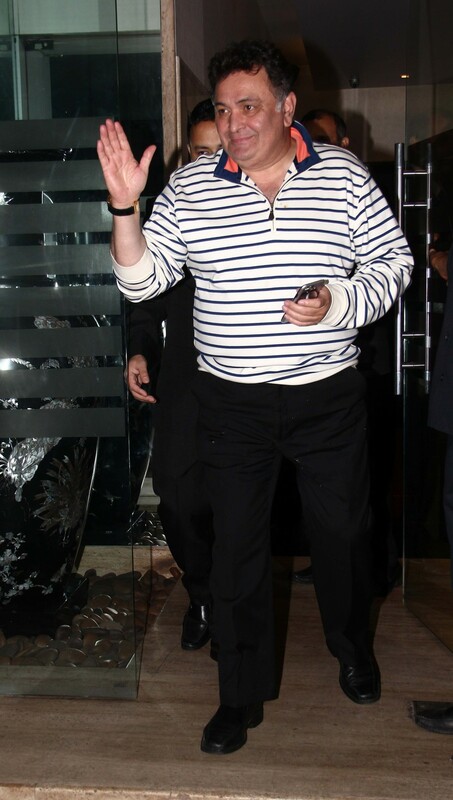 He will soon appear with his ex-girlfriend Deepika Padukone in Imtiaz Ali's "Tamasha". "Bombay Velvet", "Ae Dil Hai Mushkil", "Jagga Jasoos" are also in the list. 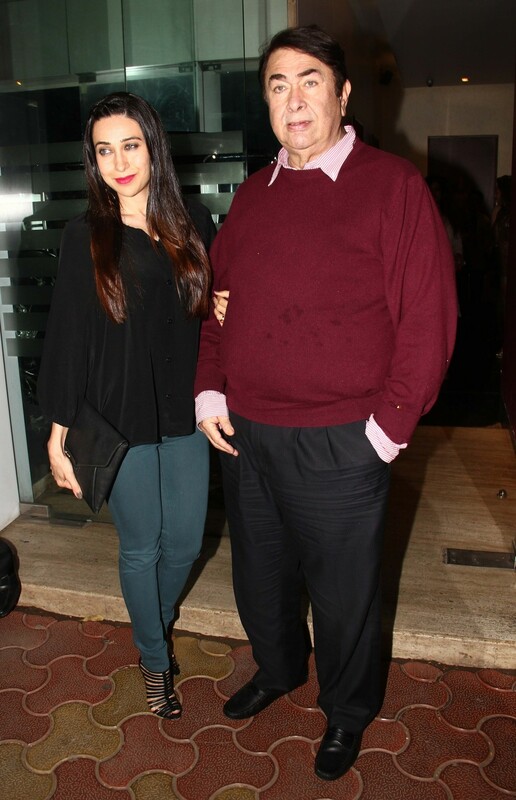 On the other hand, Kareena Kapoor Khan despite being busy with her list of films made it to her father's birthday bash. Bebo recently wrapped up shooting for her upcoming flick "Bajrangi Bhaijaan" with Salman Khan. The Kabir Khan directorial is a romantic drama co-produced by Salman. The film, which also features Nawazuddin Siddiqui in lead, tells a story of a relationship between a Muslim man and a Brahmin woman. Apart from "Bajrangi Bhaijaan", the actress will also be seen in "Udta Punjab." Kareena's presence in the film has created quite a buzz, as her ex-boyfriend Shahid Kapoor is the main lead in the film. However the former couple won't share screen space in the film, which also features Alia Bhatt. 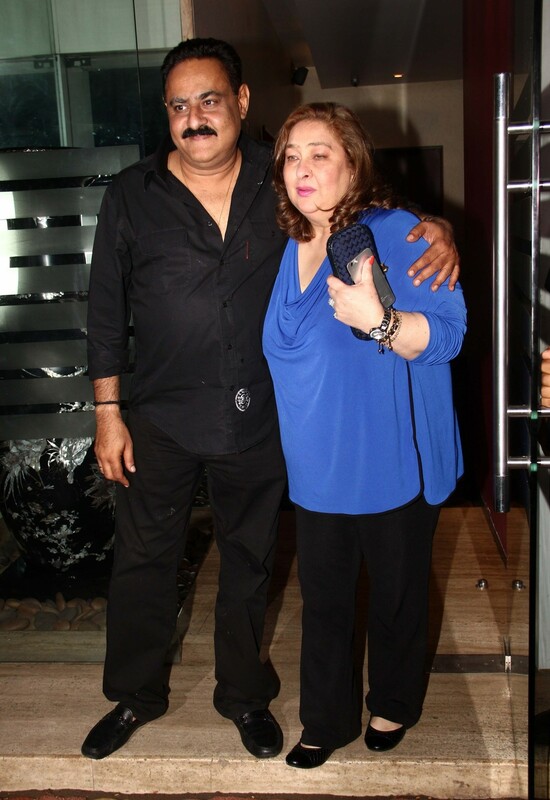 Check out the above slideshow of Randhir Kapoor's birthday bash.